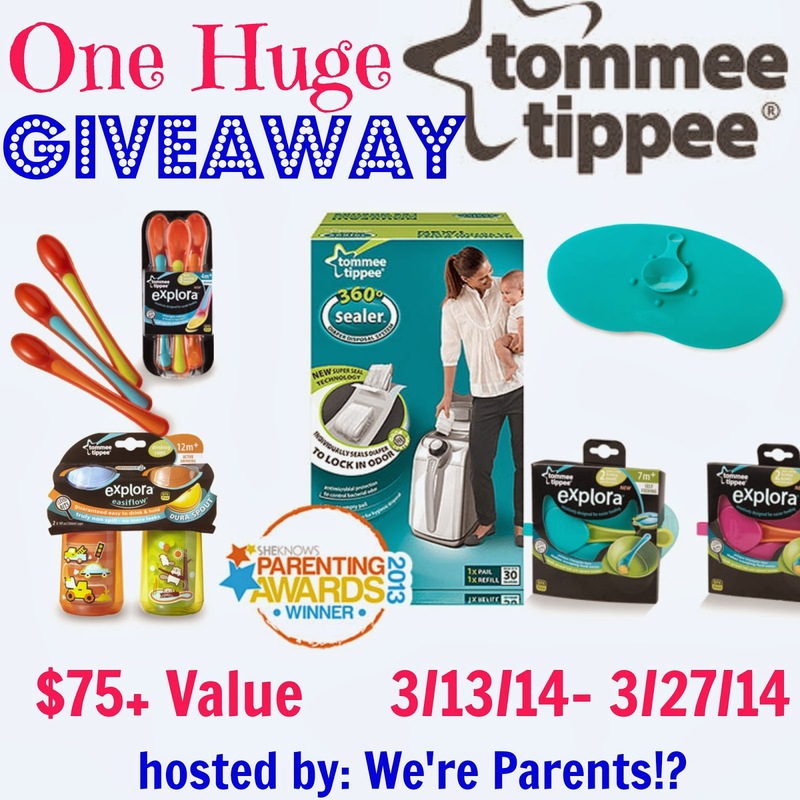 Welcome to the Huge tommee tippee Giveaway! I exclusively pumped breastmilk for 12 months with our middle child, Savy Toddler and our bottle of choice was Tommee Tippee! These bottles were awesome because they didn't have a ton of parts and kept out tons of air bubbles, leaving her full of milk (not gas) and happy after every feeding! I highly recommend their bottles and feeding products to every mom. Read more below about their products and enter to win and awesome prize pack! tommee tippee is an award-winning company for infants and toddlers. They are the #1 brand of infant and toddler feeding products in the UK, and are now available in the US. As one of the fastest growing baby essentials brands on the market, you will from everything from breast pumps, to toddler feeding supplies, and diaper pails. They are consistently adding more products to their line. 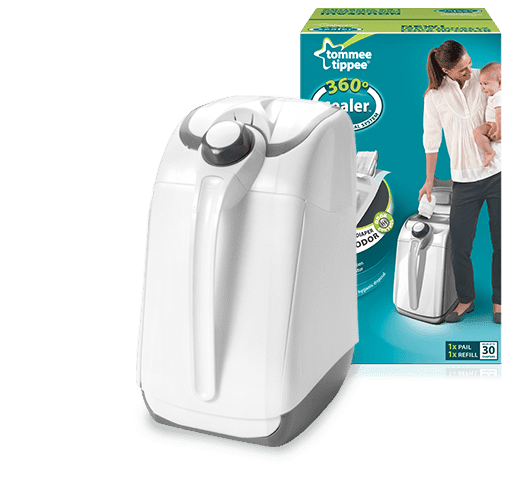 The new 360 Sealer Diaper Disposal System that seals each dirty diapers in an antimicrobial film to help lock in odor. It's easy to set-up, use, and empty, saving you precious time. The pail holds up to 30 diapers at a time before it needs to be emptied and each roll seals up to 100 diapers! The Explora Feeding products is a BPA-free toddler feeding and drinking line that offers children a seamless transitions through their first steps to independent drinking and feeding. Using bright colors and appealing designs, tommee tippee works to make feeding time enjoyable for everyone. Read We're Parents!? full review here. 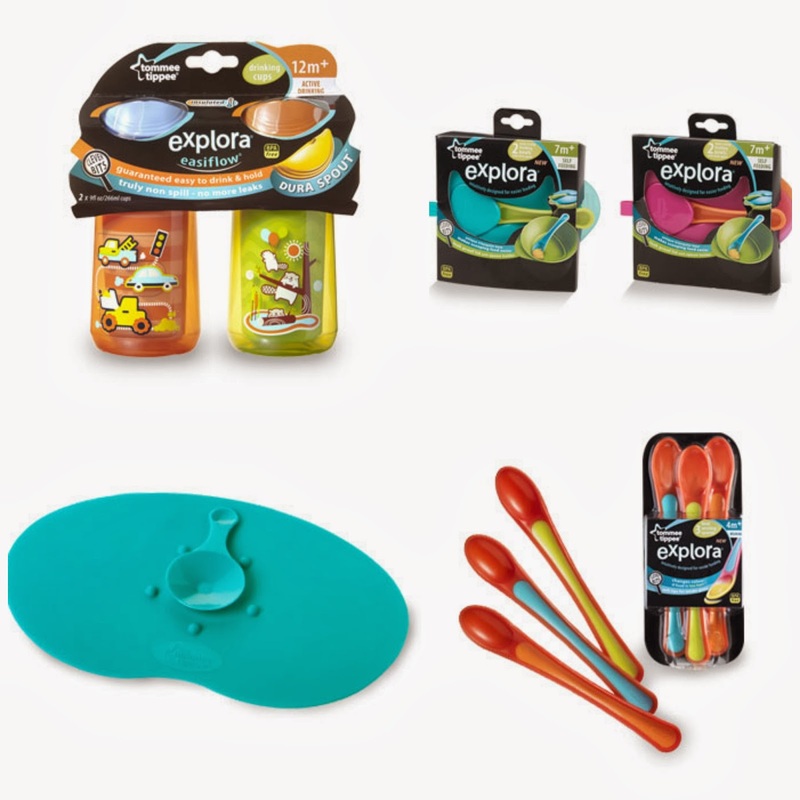 One lucky reader is going to win their own Tommee Tippee 360 Sealer, as well as items from the Explora Feeding line. Just enter using the Giveaway Tools form below. Open to US Residents Only! Ends 3/27/14 at 11:59pm EST. Good Luck! *The items pictured may be different than the items received. Disclosure: **We're Parents!? received these products in order to run this giveaway. All opinions are our own. We're Parents!? and other participating bloggers are not responsible for prize fulfillment.